Anne Dixon at Camper & Nicholsons tells me there's been a major €2.4 million price drop on Alex Lees-Buckley's central agency for sale, Jongert’s 46.1m sailing yacht Wellenreiter. The largest Jongert ever launched, she was designed by Andre Hoek and built in 2003 to Lloyds class. MCA compliant, this superyacht accommodates seven guests in a master suite plus double and twin cabins. A notable feature is the fact that the study adjacent to the owner’s stateroom could easily be converted into a further twin cabin. 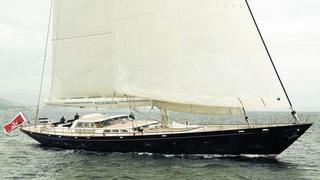 The asking price for Wellenreiter is now down from €14.9 million to €12.5 million.